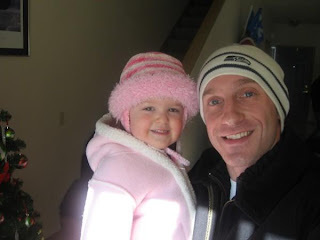 Sorry I haven't blogged .I have to get used to doing this daily if not every other day.I added this photo of our granddaughter and our son~ her daddy.As you can see this was around Christmas of 2008 since their tree is in a photo. We have two sons married but only one grandchild.My hubby and I got married young.We had kids almost right away,but its been years with both kids gone and the house is quiet and definitely different when the kids move out. Now back to the raw lifestyle I am living.As of the 13th of March I ended My Master Cleanse and did one day of the Orange Juice......All was good. I am so in tune with what I eat.I played it safe with salad and fruits the weekend of March 14th and 15th.Monday March 16th will be Juicing and Green Smoothies all day.I had so many days on the Master Cleanse that drinking my meals will be just fine.I also made videos with my Master Cleanse as you can see on this blog and I actually enjoy sharing my day to day or should I say week to week journal in a video form. I have the most understanding husband whom is so supportive of what I am doing. My husband is NOT RAW but enjoys smoothies,juicing and some Raw desserts.He is so helpful in what I make if I need a helping hand in the kitchen too.So until Monday and beyond I am loving RAW.